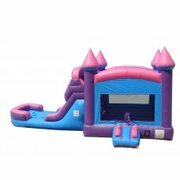 Welcome to Cowboy Party Rentals Combo Bouncer Rentals selection. 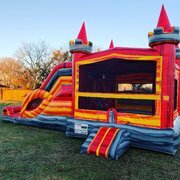 Are you hosting a party or event in or around Midlothian, TX? 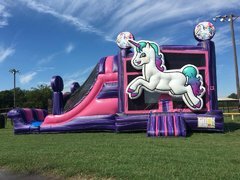 Let us help you with the entertainment! 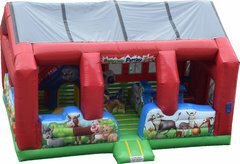 Combo Bouncer Rentals are a great way to entertain a large group of kids effortlessly. 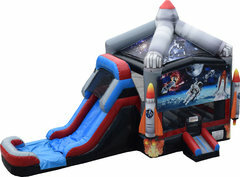 These Bouncers are similar to a Bounce House as they have a large Bounce Area for jumping but they also include different elements that add loads of additional options for fun. 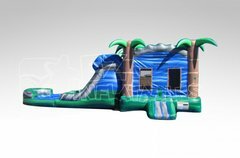 Such as: Obstacles, Climbing Wall, Basketball Hoop, and lets not forget about the Slide! 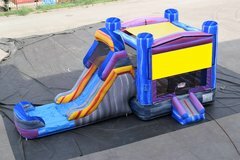 No kid or even most adults can resist the fun of the slide. Especially when adding water to it! 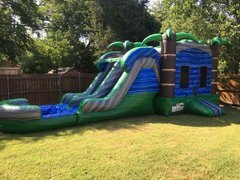 We love setting up our Inflatable Rentals at City Parks but there isn't always a power source available. 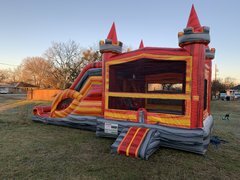 We also have Generator Rentals for this very purpose as well. Kimmel Park in Midlothian is a great park to reserve. 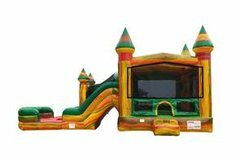 It has adequate electricity, an abundance of shade, renovated restrooms, and several large play areas. Just like any other park, make sure your contact the Parks and Rec Department in that city to reserve your spot! 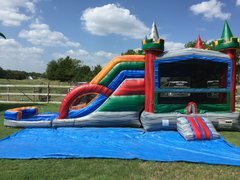 Let them know you are working with a reputable company, since we are insured and inspected by the state of Texas!